My name is Nadine Smith, CEO of Equality Florida, and I thank you for reading this important call to action. On Sunday morning, June 12th 2016, our community was rocked by the Pulse massacre that claimed the lives of 49 people, mostly LGBTQ and Latinx young people. The horror unfolded in the middle of Pride month on Latin night at Pulse, a popular gathering place for young LGBTQ people of color. In those early morning hours on June 12th, Equality Florida made two promises. The first was to do everything we could to take care of the survivors and the families left behind by this heinous act of hate, and to make sure every penny raised went directly to those most impacted by this terrible tragedy. With the help of GoFundMe and 120,000+ individuals around the world, we raised over $9.5 million dollars for the survivors and victims’ families. After disbursing the funds raised, we turned our full attention to the second promise - as we remember those who were taken from us, we promised to honor them with action. We cannot allow the Pulse massacre to be yet another national tragedy. This must be a national turning point that spurs us to new action. Since Pulse, Equality Florida has focused our efforts on uprooting the anti-LGBTQ animosity that leads to harassment, discrimination and violence by changing the culture in schools. According to the Centers for Disease Control and Prevention, the two most important factors contributing to the wellbeing of an LGBTQ young person are family acceptance and a supportive school environment. Equality Florida and our partners have invested deeply in launching a Safe and Healthy Schools Project to do everything we can to prevent bigotry from taking root in our young people’s hearts and minds. And we also know that houses of worship shape the world young people grow up in. For too many of us, the deepest wounds were inflicted as we sat with our families in pews and heard a message from someone we trusted that we should not exist. 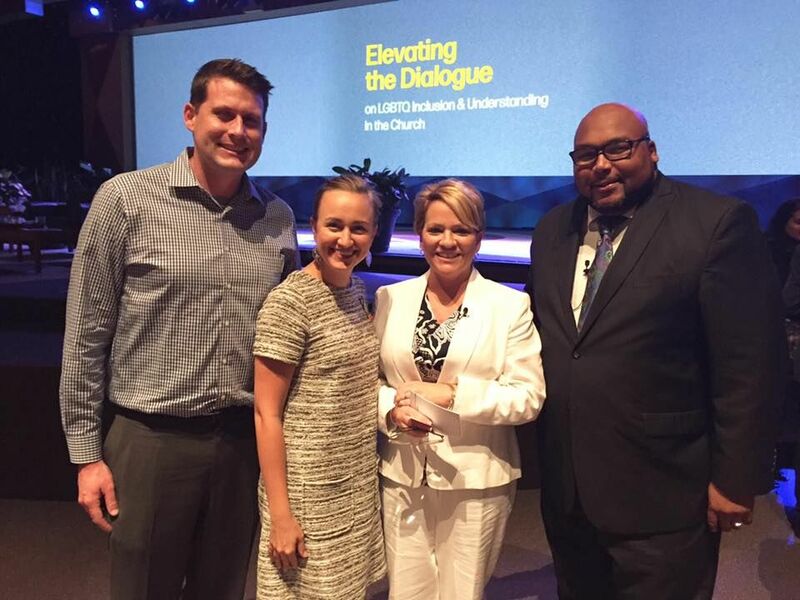 In the aftermath of Pulse I know a number of faith leaders reached out and spoke up to take responsibility for making the world less safe for LGBTQ people. Many have pledged to speak out against anti-LGBTQ discrimination and violence. We need you to join us. We need you to step up and speak out against all forms of violence, be they mass shootings, arson at mosques, vandalism at synagogues, and yes, even hateful words spoken from a pulpit, a pew, or over the dinner table. Join us at HonorThemWithAction.org. Also, every dollar raised on this campaign will go directly to our work of combatting the same anti-LGBTQ hatred and bigotry that caused the attack at Pulse. We must ensure the lasting memorial of Pulse is the real change of uprooting hatred, discrimination, and violence of all kinds in our culture. Thank you for your compassion, your love, your support. But most of all, thank you for standing with us to combat hatred of all kinds and to take action each and every day to make the world different, better, and safer for all of us. To qualify for matching from Tito's Handmade Vodka, donors must be 21 or older. 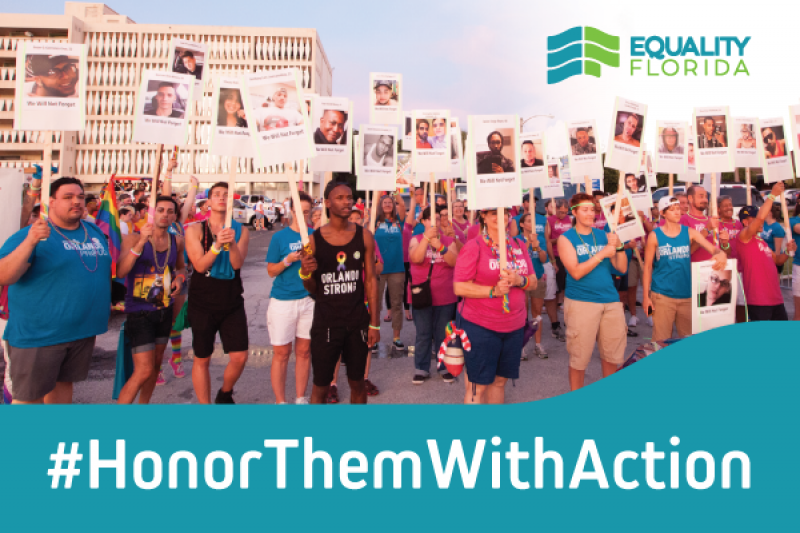 Here are some photos highlighting what Equality Florida is doing to #HonorThemWithAction. 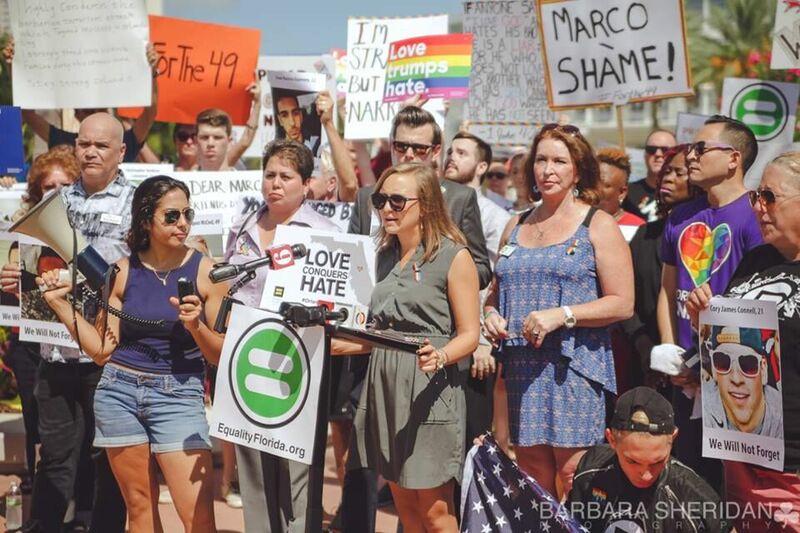 In the aftermath of the horrific Pulse massacre, Equality Florida promised to call out bigotry and discrimination of any kind. No action, large or small, will go unchecked. 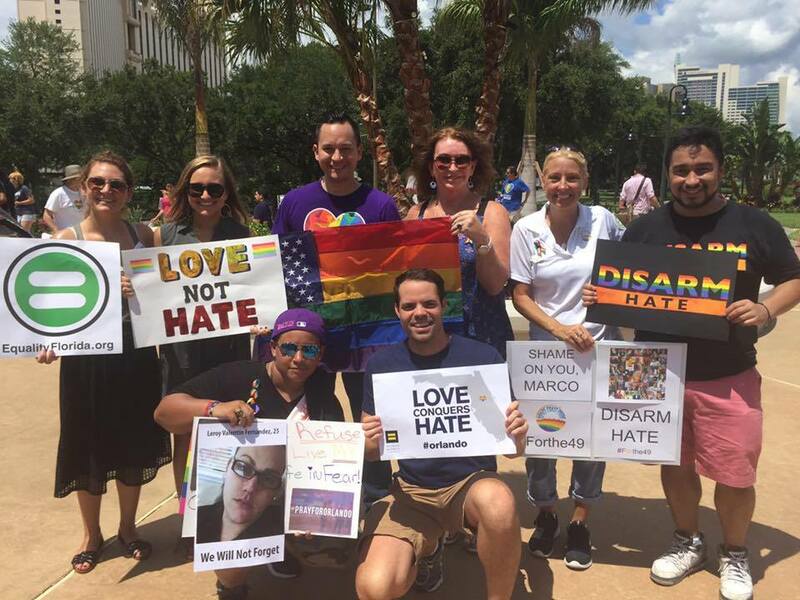 This image was from the August 2016 “Rally to End Hate” when Senator Marco Rubio headlined a conference hosted by notorious anti-LGBTQ extremists in Orlando just two months after the shooting. 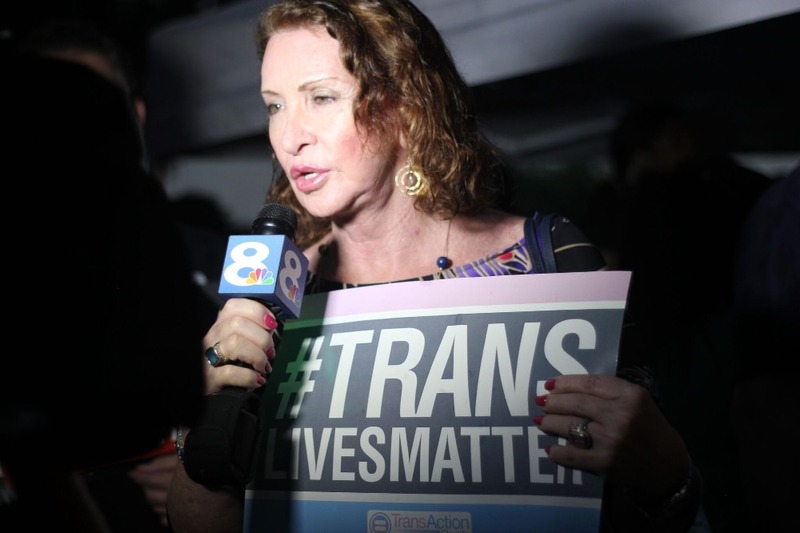 Pictured is Equality Florida’s Director of Transgender Equality, Gina Duncan. Our initiative, TransAction Florida, is dedicated to achieving Transgender Equality in Florida through advocacy, education, and engagement. 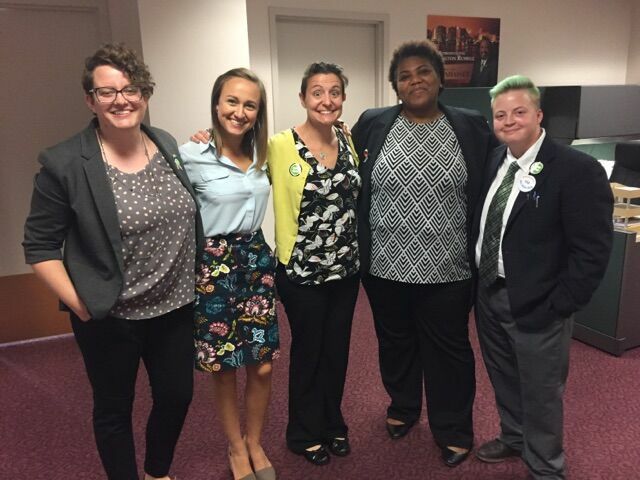 At Equality Florida’s 2017 Lobby Days, we spoke with legislators about the importance of passing statewide LGBTQ protections so that no person is discriminated against for who they are or who they love. Equality Florida is committed to addressing the epidemic of violence fueled by the normalization of hatred of LGBTQ people. We will continue to support common sense gun safety prevention measures and work to #DisarmHate. Many faith leaders pledged to speak out against anti-LGBTQ discrimination and violence. We are inspired by the many who have joined us to #HonorThemWithAction and combat dangerous rhetoric and hate violence of all kinds. Equality Florida is an organization that has been advocating for justice and equality for lesbian, gay, bisexual and transgender people in Florida since 1997. Gold rated by the leading charity ranking websites, we have spent nearly 20 years building our community’s strength to turn the tide on some of the worst anti-gay legislation and policy in the United States: Winning marriage in advance of the Supreme Court’s decision that was binding nationally; Passing dozens of city and county non-discrimination ordinances that protect more than 10 million Floridians; Enacting safe schools policies that have created welcoming and supportive environments for more than 2 million students; Shifting public opinion to help reverse the ban on gay adoption left by Anita Bryant’s gay-hating campaign in the 1970s. We have spent the last three months channeling direct support to Pulse victims and now are turning our attention to ridding our culture of the toxic dehumanization of LGBTQ people. A COPY OF THE OFFICIAL REGISTRATION AND FINANCIAL INFORMATION FOR THE EQUALITY FLORIDA ACTION MAY BE OBTAINED FROM THE DIVISION OF CONSUMER SERVICES (WWW.800HELPFLA.COM) BY CALLING TOLL-FREE WITHIN FLORIDA (1.800.435.7352). REGISTRATION DOES NOT IMPLY ENDORSEMENT, APPROVAL, OR RECOMMENDATION BY THE STATE. REGISTRATION #CH42356. You live hundreds, even thousands of miles away. You donated to the victims' fund and attended vigils. Your social media post uses the hashtag #HonorThemWithAction. You are sending thoughts and prayers and love to the families of those killed, to those wounded, and those who escaped whose injuries are not visible. I just want to say you get to grieve for yourself too. For the sense of a sanctuary violated. For the reminder that progress has always meant dangerous backlash. For the terror you felt that it "could have been you." You get to grieve how helpless you felt all those miles away, for how inadequate every gesture felt from such a distance. You get to feel all that sadness. This was an act of terror specifically targeting the LGBTQ community in the midst of Pride Month on Latin Night. You were supposed to get that message. You get to respond to that personal threat with grief and anger for what was meant for you too. And please remember, self-care & compassion for others is an important way to #HonorThemWithAction. If you or someone you know is struggling or needs support, you are not alone and there is still help available. 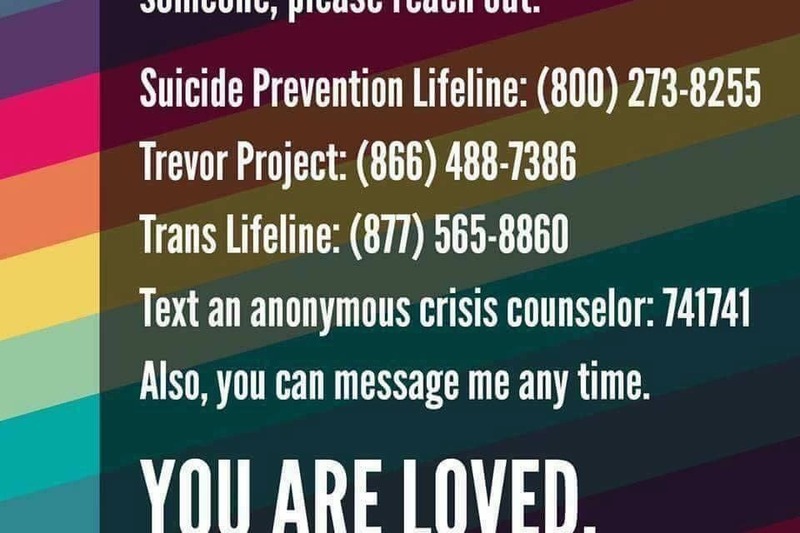 Please call the Trevor Lifeline at 866-488-7386 or any of the lifelines below. Two years ago today, Orlando experienced the unimaginable when hate took the lives of 49 people celebrating Latin Night at Pulse, an LGBTQ nightclub. In the aftermath of the shooting, Equality Florida made two promises. The first was to do everything we could to take care of the survivors and the families left behind by this heinous act of hate and to make sure every penny raised went directly to those most impacted by this terrible tragedy. With the help of GoFundMe and 120,000+ generous individuals around the world, we raised over $9.5 million dollars for the survivors and victims’ families. After distributing the funds raised, we turned our full attention to the second promise. As we remember those who were taken from us, we promised to #HonorThemWithAction. Since Pulse, we have focused our efforts on uprooting the anti-LGBTQ animosity that leads to harassment, discrimination, and violence. Through our Safe & Healthy Schools Project, we seek to change the culture in schools to prevent bigotry from taking root in our young people’s hearts and minds. - Worked with 60 of Florida's 67 districts. Our original first-year goal alone was only 3-5. - Delivered training to over 5,000 district staff members in the state. These staff members include principals, assistant principals, counselors, social workers, and school psychologists. - Met with 21 school district superintendents. The visible support of the superintendent for this work ensures all schools in the county take part. - Increased the number of districts that have an LGBTQ Critical Support Guide from 2 to 12. This guide is an essential manual for LGBTQ needs and resiliency. - Increased the number of districts that have high school safe school liaisons from 2 to 7. These individuals can talk with our youth and their families and refer them to support in the community. - Increased the number of districts that have a designated part-time or full-time LGBTQ District Coordinator from 3-11. This is crucial to ensuring support is consistent from school to school across the district. Together we can shift the culture so that Florida’s school districts will adopt comprehensive, nationally recognized best practices for meeting the needs of LGBTQ students and in doing so build a model that can be replicated nationwide. But change starts with you. On the two-year mark of the Pulse massacre, we hope you will consider donating to our #HonorThemWithAction campaign in remembrance of the victims and to help end anti-LGBTQ hatred and bigotry where it begins - in our schools. Great news! Equality Florida is proud to announce that Charity Navigator, a charity watchdog organization that evaluates charitable organizations, has upgraded us to 4 stars overall - its highest rating! We are also ranked 4 stars in their main area of "accountability & transparency". With this rating, you can be assured that your donations to the #HonorThemWithAction campaign are going directly toward our work of combating the same anti-LGBTQ hatred and bigotry that caused the attack at Pulse Nightclub. It has always been a top priority of our organization to be completely transparent with our supporters and donors. While raising funds for the victims and families in the aftermath of the horrific Pulse shooting, we set up a transparency page (equalityflorida.org/transparent) so that folks new the details of how the Equality Florida Pulse Victims Fund was structured and contributors could feel 100% confident that every penny raised through the victims fund was going directly to the victims and their families. We strive for the same transparency with funds raised for carrying out the mission of our organization through our program work - that includes funds raised by our #HonorThemWithAction campaign. We hope this news will inspire you to continue to spread the word about this campaign so we can ensure the lasting memorial of Pulse is the real change of uprooting hatred, discrimination, and violence of all kinds in our culture. Thank you again for your generous support and for standing with us to make the world a different, better, and safer place for us all. Along with the highest rating from Charity Navigator, Equality Florida Institute is a Platinum-rated charity by Guidestar, another charity watchdog group. We are also accredited by the National Better Business Bureau's Wise Giving Alliance ( www.give.org). Last weekend Equality Florida honored the students of the Marjory Stoneman Douglas High School Gay-Straight Alliance. GSA President Emma Gonzalez began our program with a moment of silence and a call to action to end gun violence. These young leaders have spoken through their grief with absolute clarity and resolve, and they have stirred the nation. In a matter of weeks, they have taken on the NRA and they are challenging the lawmakers who line their coffers with gun lobby money. The leadership of these students is a testament to the GSA advisors and staff at Marjory Stoneman Douglas High School as well as the Broward County school district. By allowing LGBTQ youth to be their authentic selves in school, they have allowed students to thrive and become leaders of a national movement. That is why we launched our Safe and Healthy School Project in the aftermath of Pulse as a key way to fulfill our promise to #HonorThemWithAction. We know that the classroom is where anti-LGBTQ bias is challenged or takes roots - where LGBTQ young people are tormented or supported. We want every student to have the kind of supportive and inclusive environment Emma and her fellow GSA students are so proud of and with your help we will replicate that support in counties across Florida. In just 18 months, we’ve gone from launching this project to training over 4,000 principals and district leaders in 51 of Florida’s 67 school districts. With the #NeverAgain movement, we are seeing firsthand just how important it is to continue to create a culture of inclusion and support for LGBTQ youth in our schools, and that’s exactly what we aim to do with our Safe & Healthy Schools project. We can forever shift the culture in our schools in support of LGBTQ youth. Thank you for your support. THANK you all for your donations. GOD BLESS YOU ALL.. ♡♡♡♡♡♡♡ Pulse Survivor. Boo to Mike Silverstein, these kids are outraged and have the absolute right to be. Civilians don't need weapons of war. How many more facts do you need? Mike Silverstein, I am with the students all the way! No, they are not being highjacked by "the left." They are leading the way away from gun violence, political corruption, and fear of the gun lobby. I am following their lead. If it is radical to want to protect the lives of children, then so be it. Call me a radical for peace! I donated to the GoFundMe causes for both the Pulse nightclub shooting and for the Majorie Stoneman Highschool shooting to help the victims and survivors with funeral and medical expense and to help the affected families and individuals with any medical expenses resulting. My donations were strictly a charitable humanitarian deed in keeping with my Christianity and overall sense of compassion. In no way do my donations indicate that I am opposed to law-abiding individuals being armed, even with firearms. Although I make humanitarian donations to such shooting victims I am and will remain a supporter of the NRA and the 2nd amendment to keep and bare arms. As soon as a madman with a gun enters a gun free zone he knows he is an immediate superman with nobody on the scene to stop him immediately. Make sure everyone you know is registered to vote. Vote them out!!! I was searching for information online to find the type of professional I would need before starting a go fund me to give money to a very large group of people in need. I'm aware the logistics are over my head and desire not to touch the money. One of the things I came across is information about y'all's success. I was hoping that someone had a few minutes to contact me and share general information please. NOVEMBER. Register to vote now! https://www.usa.gov/register-to-vote this is how we stop the insanity. I’m all for sensible gun control based on the facts, not emotions. Having said that this student march is being hijacked by the far left. Too bad the kids are now being used as tool of the radicals. Sometimes LGBTQ organizations need more $$ to help more deserving people. We heal by helping each other, lifting each other up. May this never happen again.